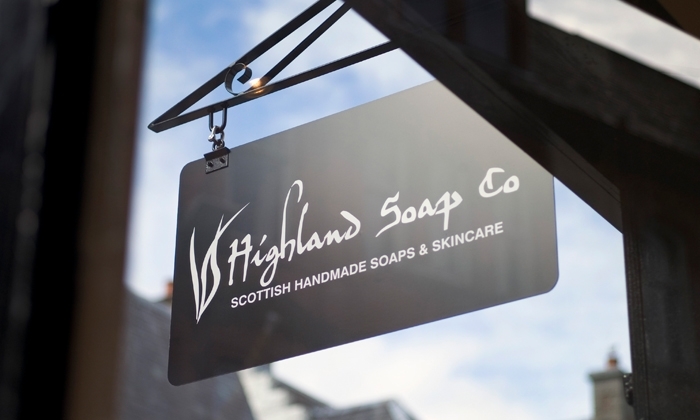 Scottish Handmade Soaps & Skincare. Our natural skin care products are handmade with an emphasis on organic, fresh wild harvested ingredients and herbal therapy in the heart of the Scottish Highlands. Our shops are located on the High Street Fort William, in Spean Bridge and Pitlochry. As well as in select quality retailers and hotels throughout the UK. The Highland Soap Company, Scotland. The Highland Soap Company, Scotland. 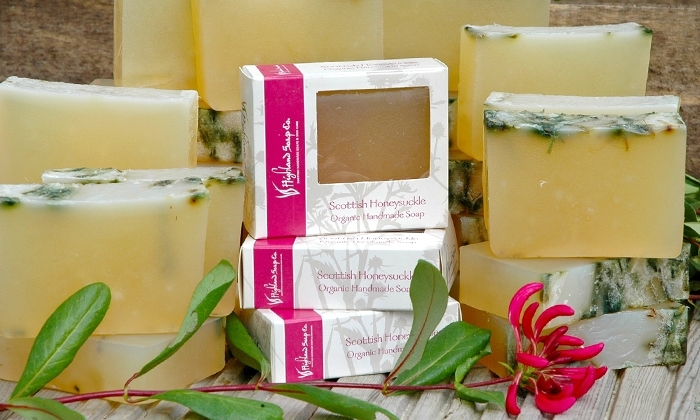 Scottish handmade soap and natural skin care. Scottish Honeysuckle organic soap. Rosemary & Wild Nettle organic shampoo. Rosemary & Wild Nettle organic hand wash and lotion. 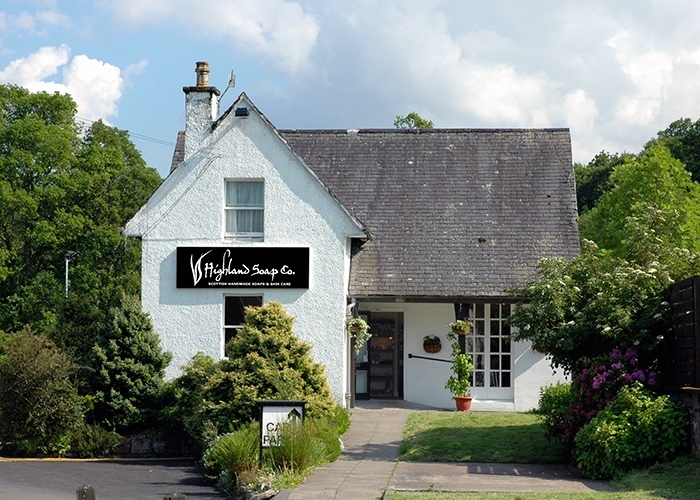 The Highland Soap Company, Spean Bridge.